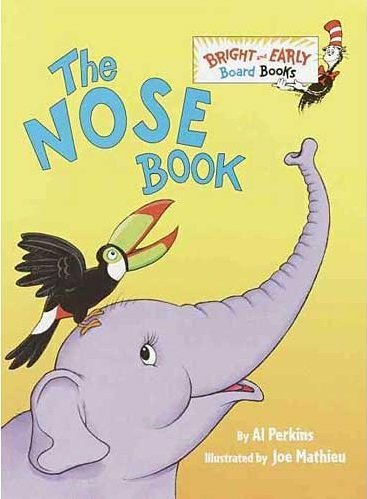 A brightly coloured rhyming book describing noses of all kinds, colours, shapes, sizes and functions. Children will love labelling the various animals they see on the pages and describing the differences between the animals’ noses. This book could also be a great addition to lessons focusing on our senses. The repetitive use of the word ‘nose’ makes this an ideal choice for working on the speech sounds /n/ and /z/. For further speech and language targets in The Nose Book, see the list below.